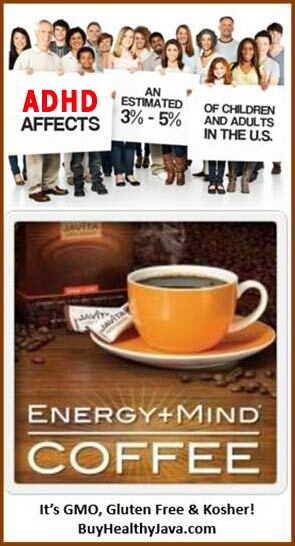 Millions of people already have coffee in their life, herbally infused coffee, tea & cocoa can be the difference. If you want youthful energy and the calorie-burning effect of an increased metabolic rate plus the added benefit of appetite suppression, you will love our “Burn and Control” gourmet weight loss coffee. It is an answer to so many people’s prayers who need more energy to succeed with reducing the unnecessary LBs and improving their health and physical comfort! Our “Burn and Control” gourmet instant weight loss coffee is our main product! We have taken premium South American Arabica and Robusta coffee beans and added two herbs: Yerba Mate and Garcinia Cambogia. The result has to be experienced to be believed! Yerba Mate is a well-known herb in South America, and is as much a social drink as tea and coffee are in the U.S. 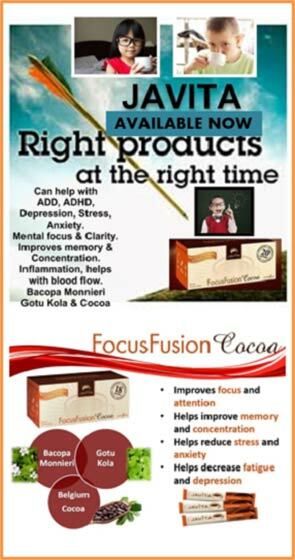 It has both caffeine and theobromine in it plus many other compounds that have proven to be very beneficial and is used by millions as a safe stimulant that provides a noticeable, long term, energy boost. It is also reputed to be beneficial against colon cancer and other types of malignant growths. Garcinia Cambogia is the fruit of a tree that grows in India and SouthEast Asia. It is an excellent appetite suppressant and is also reputed to help stop the formation of fat in the liver. Garcinia is also used as a spice in many countries. Research indicates that the weight-loss mechanism is that it slows the conversion of carbohydrates to fats and tells our brain our stomach is full and to stop eating. Garcinia has also been used to help stop gastric and duodenal ulcers by reducing the amount of acid in the stomach. Many people also report lower cholesterol levels when consuming this multi-benefit herb. See our Success Stories page for our most current news and videos of people getting results! Sources: Evidence Based Complementary Alternative Medicine & Physiological Behavior. Yerba mate also has a relaxing effect that can calm your emotions and make you less prone to fall into overeating while stressed—a condition known as stress eating. This effect of yerba mate has also been known to stop cravings you may have for unhealthy foods. In addition, yerba mate has been found to slow down the rate of gastric emptying. This leads to dieters feeling fuller longer and less likely to overeat. It’s easier to burn fat when you’re not burning off all the excess food you’re eating. Yerba mate has also been known to delay the onset of lactic acid in your muscles—a condition that many exercisers know as “the burn.” A delaying of “the burn” allows you to work out for longer than usual, thereby also increasing your ability to burn more fat. A study on small mammals suggests that yerba mate can lower cholesterol levels and blood sugar level. Yerba mate can help the body to produce more bile and soften your stool, allowing your body’s digestive system to operate more smoothly. Even though yerba mate is a stimulant, it can help you sleep sounder. Sleep is a critical component of a healthy life. Unlike other stimulants which can cause undue stress on your heart, yerba mate can actually be helpful to your heart by increasing supply of oxygen to the heart. It can also relax your blood vessels, increasing circulation and lowering blood pressure. Yerba mate is also believed to reduce inflammation of the lungs. 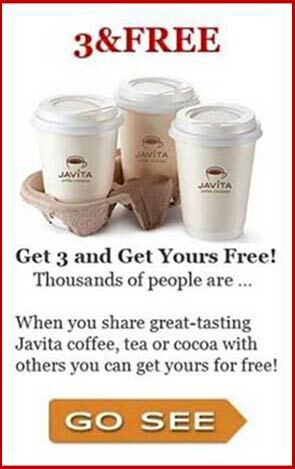 So what exactly is Javita “Weight Loss Coffee & Tea”? 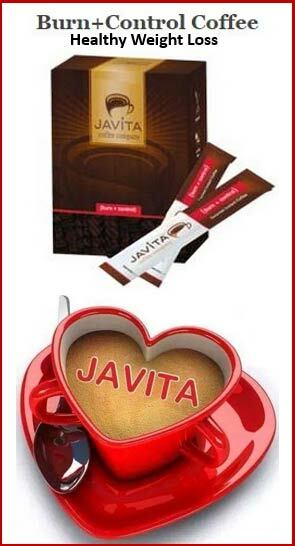 Lose weight fast and healthy with the natural weight loss supplement contained in Javita Coffee & Tea: Garcinia Cambogia! In an article in Woman’s World Magazine, January 21, 2013, Dr. Oz reveals that Garcinia Cambogia is an all natural supplement that will help you become skinner, happier, less tired and melt off as much as 8 lbs a week for some people; he says that it converts fat into energy, reduces appetite and boosts happiness hormones. Dr. Oz states that there is now solid evidence that dieters who take Garcinia Cambogia extract stand to lose 200-300% more weight than dieters who don’t. He goes on to explain that, “Instead of say taking off 15 lbs on your New Year’s health goals, add Garcinia Cambogia extract to the mix and expect to dump 30 – even 45 lbs” – so this is really exciting, because with Javita Burn+Control Coffee or Lean+Green Tea, there’s no more pills or protein drinks to choke down! And that’s the genius behind Javita! No more having to remember to choke down pills or protein drinks. Obesity and overweight are growing epidemics for much of the civilized world, leading to chronic diseases commonly associated with this health condition, such as cardiovascular issues, high blood pressure, diabetes, stroke, and potentially cancer. Preventing or reversing this debilitating condition has been the focus among complementary and alternative medicines, particularly within the nutraceutical and functional food industries. Many herbal products make claims toward weight loss and weight management, yet scientific research is scanty for these products at best. Researching and reviewing available scientific evidence prior to formulating novel products is ideal to insure the safety and efficacy of natural products. When formulating Burn + Control Coffee, Javita International made extensive use of available research to confirm their own findings that Burn + Control Coffee is not only safe at the recommended dosages, but that it is highly effective for supporting the body in healthy weight management. It targets multiple functions in the weight management system of the body, including but not limited to increased energy, appetite suppression, and a reduction in fat cell formation. In addition to the functionality of this product for weight management, anecdotal evidence from consumers affirms that due to the taste and ease of use of the product, compliance is relatively easy, and thus the results may be enhanced over supplement-type weight loss products. This white paper will focus on the scientific evidence used to support the formulation and use of Burn + Control Coffee as a weight management product. It will include descriptions and conclusions from various in vitro and in vivo trials showing efficacy and safety of the proprietary ingredients. This paper is meant to assist in the empowerment of the educated consumer, to determine the best weight management product for their needs. “My name is Shawnna and I am 35 years old. My girlfriend introduced me to Javita. I was very hesitant at first, because I am not a coffee drinker. I told her that I would try the tea but was not sure about the coffee. I went to her tasting and I was shocked! I liked the tea but loved the coffee more. I wanted to try this product for several reasons. One being that it was for weight loss, but more importantly I wanted to try it for my health. I have high blood pressure and high cholesterol. I have been on medicine for both for years now. I have been using this product for two months now. I recently went to my doctor and received a great report. My weight was down 13 pounds and my blood pressure medicine was cut in half. Burn+Control Coffee is not a diet, it’s a lifestyle change! In May of 2015, I was introduced to the Javita products. I started drinking the Burn + Control coffee and the Lean + Green tea. I drink a cup of coffee in the morning and the tea in the evening. Since May I have lost 50 pounds. In May of 2015 I weighed 278 lbs. I now weigh 228 pounds. In May of 2015 I was wearing size 26/28 pants. I am now wearing size 18/20 pants. I was totally amazed when I went to purchase a new pair of pants, because my pants were getting too baggy on me. I was purchasing pants 8 sizes less than I was wearing when I first started the Javita products. I did not measure myself when I started. Now, I wish I had. Nor did I take any “before” pictures. I just have the one with my grandmother. I didn’t like having any pictures taken of me. I have been diagnosed with diabetes, high blood pressure, and high cholesterol. All my numbers have decreased in the last two labs I have had done. My doctor told me, I do not know what you are doing, but keep doing it. He is pleased with the change. My hopes in losing weight is to get off the diabetes medication and high blood pressure medication that I am currently taking. Since using the Javita products, I do not eat out very much. I choose to cook my own meals instead. So I have discovered that my stomach does not tolerate fried foods very well. I have also discovered that since losing weight this way, and doing it gradually I feel that I will be able to maintain my weight loss. I still have a lot further to go, I realize this. But I also have confidence that I can do it. Javita makes it easy and doable. It is not a diet, it is assistance in a new life change for myself. Thank you Javita for helping me in making this wonderful change. ~Susan S.
I thought I was going to be obese for the rest of my life! “Obesity… It’s one of those problems to add on to the list that America’s been dealing with for years now. Statically speaking, around the year 2010, about 70% of adults are consisted overweight or obese. I can speak for myself, cause it’s definitely been something I’ve dealt with ever since I was in elementary school. Because of it, I’ve lost so much self confidence, lack of social skills, and in some cases even depression. It’s one of those things that really made me insecure mentally and even physically. It was always hard talking to people at school, because I was always paranoid, and it even got to the point where I was scared to take off my shirt in public like at beaches, water parks, and so on. It was always an ongoing battle for me. A couple of times I even accepted defeat, and thought I was going to be obese for the rest of my life. I underwent a few phases and tried to lose weight through exercise and dieting. But at that point, I had no will power and lacked self discipline. Throughout school, I was always teased, made fun of, and left out all because of my physical appearance. When I graduated high school, I weighed approximately 236 lbs. Throughout the summer, I was always depressed on the inside. Because every time I looked into the mirror, it was a constant reminder of how I looked on the outside and a true representation of being overweight. September of 2015, I was about to start my first year in college my mom introduced me to Javita. The burn and control weight loss coffee. My mom told me about this coffee and said it could be a new beginning, the answer to all of my questions to losing weight. So I decided to give it a shot. The first month had passed. October 1st I instantly saw results. Because of this significance, it strived me to work harder and finally fight through this predicament that I had been dealing with ever since I was 9 years old. I started going to the gym five days a week for an hour. And the weight just fell off as time flew by. It is now February 22, 2016 and I have lost 45 lbs. And I weigh 191 lbs. I haven’t weighed that much since my 8th grade year in middle school. The accomplishment almost brings a tear to my eye. I’m not even close to being done and the journey is uphill from here. Not only thanks to javita, but a special thank you to my mom. Thank you mom (Eileen Wilson), you helped revive my self confidence and made a big contribution to my weight loss journey. Thank you mom, I wouldn’t have done it without you. What a difference 90 days can make!! “So, if I haven’t seen you since I moved back to Toronto in October of last year, you had no clue that I returned from NY unhealthy, overweight, and depressed. None of my clothes fit and I refused to go shopping for new clothes in my ‘then’ size, I refused to post any full body pics on social media, and I was even highly selective of the pics I posted of my face because to me, my round and undefined face was not what I was used to seeing. If every journey begins with a single step, then every transformation begins with a single stick (of Javita). The family that drinks together, shrinks together. Just ask the Wards. “In 2012, I was diagnosed with a tumor in my head, and all my doctors told me was that I needed to lose weight. It was difficult, as I had tried many things, diets, etc, but nothing worked. When a friend called to tell me they were doing Javita and suggested I should try it, I was more than hesitant. I started drinking the coffee November 2013. After my first visit back to the doctor, she told me she saw some improvement. By April 2014, she told me I was improving and the tumor was shrinking. She asked me what I was doing. I told her about the coffee. I told her one of the herbs (in the coffee) is meant to bring more oxygen to the body. She said migraines happen because of lack of oxygen to the brain, and to continue drinking the coffee. By June, I was cleared to fly again. Today I had my yearly visit, and all my tests were great. My meds are being cut to a half tablet, and she thinks in six weeks I will be TOTALLY MEDICATION FREE!! And to think, all I’ve done is to change my coffee to burn + control (1-2 cups daily). Thank you Javita for making such a great product.” ~Jean C.
<<click here to see how the change has improved his cholesterol and triglycerides>>. “My transformation journey started almost 2-1/2 years ago. I found Javita while celebrating my friend and her son’s cancer victory. I saw a banner that said ‘weight loss coffee’. I said, ‘yay right. I drink skinny cinnamon dulce lattes and I haven’t lost weight.’ I was impressed with the taste, but most of all the immediate results I experienced. I initially lost 7 lbs in 21 days PLUS dropped 2 sizes! I was so excited because I was diagnosed with hypothyroidism and had struggled with my weight for years. I have been a size 14 for 2 years, but today I am 15 lbs lighter since starting the coffee diet system in January 2016 and another size smaller. Going from a size 18, tired, fogged mind, heart palpitations AND mood swings to feeling fabulous as a size 12 off my meds and normal thyroid test results for almost 2 years is priceless. “I have been a fitness professional for 25 years. A few years ago I quit competing in body building and fitness competition and am now in my mid-40s. In the past few years I have gained almost 25 pounds. I did not quit working out nor have I stopped eating clean. What do I have to lose, right? I started drinking Lean+Green tea and immediately began to see results. I began to have more energy within days and not jittery energy; my cravings for sugar and carbs decreased, my hair/skin and nails are healthier and I began to drop pounds within the first week. “I had quite the battle on my hands. Endometriosis had taken entirely too much from me, so I underwent surgery and a six-month injection process to get it under control. The weight gain was depressing for me. I had ALWAYS been small. A year after completing the injections, I just could NOT SEEM to get this weight off. I tried exercise. Dieting. Pink drinks and pills, nothing worked until I found Javita. I had given up on weight loss, and just wanted to feel the energy. So I drank my first cup of coffee. I was hooked. I felt fantastic and to my surprise, my clothes were getting looser!!! 33 pounds down and I feel fantastic. I keep up with my kids, and at times have better energy than they do!! Thank you so much Javita. I finally feel like I have my life back! !” ~Kristin M.
I’m so glad I made the decision to ‘rethink my drink’! ‘Well, I went to the doctor on Tuesday June 28. I had cancelled my appointment from June 2, because I had assumed my blood sugar had gone up since I hadn’t really been eating right. I had all the excuses ready, and how I would change my ways. But when I got the report, it turns out that my A1c was 5.9. It went down!!!! When they took my blood pressure, I glanced over expecting to see the usual 140/88 but to my surprise it was 119/64. I was shocked, it has never been that low!!!! As incredible as that is, that’s not all. I had stopped taking my cholesterol medicine back in January, because my legs hurt so bad I could not have my granddaughter on my lap. Since they were checking my cholesterol this time I knew I had to “fess up” and tell them that I wasn’t taking it. I really didn’t know what to expect. Webster’s dictionary defines Déjà Vu as “a feeling of having already experienced the present situation,” and as I was partaking in my most familiar, daily routine of drinking coffee this Valentine’s Day, I kept getting the nagging feeling that I had been here before. Then as I sat down to join my parents for breakfast and for a second cup of coffee, my intuition reminded me that it had been one year that my little brother, Donovan, had mailed me a Valentine’s Day gift that would be the most lucrative gift I’ve ever been given. To read her miraculous story click here.